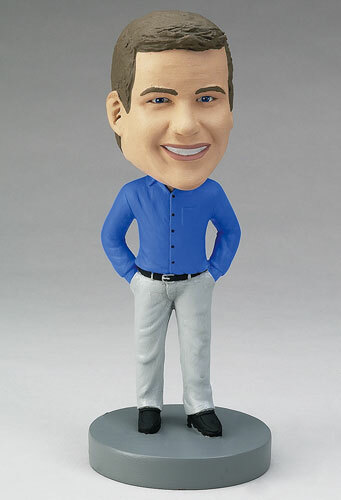 Looking sharp in his button-down, this guy can be a custom bobblehead for the newly hired professional or newly promoted manager. Personalize him by changing his outfit, inscribing his title on the base, or adding detail with the special instructions box. For your accountant friends, add a calculator, or add other fun props to really personalize it.